Welcome to BTE Communications, Bakersfield and Kern County's preferred 24-hour call center since 1958. Over the last 50 years, we have provided thousands of satisfied clients in Bakersfield and across the United States with high quality, personalized answering services at cost-effective prices. Whether you need comprehensive voicemail services or a virtual receptionist to answer calls during normal business hours, you can trust our highly trained telephone operators to handle each and every one of your calls with courteous and professional service. Call today to learn how BTE Communications can enhance your business with customizable live answering services in Bakersfield. 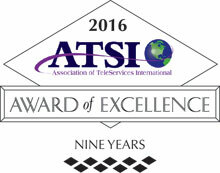 BTE Communications employs a staff of courteous, experienced live operators at our 24 hour call center. At our answering service facility in Bakersfield, our highly trained live operators are trained to handle a diverse range of calls and handle them according to each client's unique set of preferences. With our comprehensive answering services, your important calls will always be taken care of in the way you need them to be. Plus, at BTE Communications, all calls are typically answered within the first three rings. Our CMC software and hardware are constantly updated to ensure that our clients are receiving the latest technology available and have access to a broad range of advanced services that allow for more seamless integration. At BTE Communications, we're here to help you customize the perfect communication plan for your Kern County business. From personalized voicemail services to immediate emergency response coordination, our highly trained operators are ready to fully assist your Kern County business with quick, reliable, and professional service. 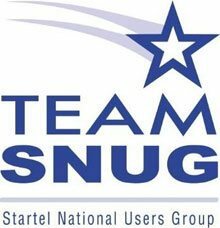 BTE Communications is proud to be associated with the Association of Teleservices International (ATSI), Startel National Users Group (SNUG), and the Bakersfield Chamber of Commerce. For all your customer service needs, trust BTE Communications to provide high quality customer care at cost-effective prices for businesses in Bakersfield. With over 50 years of experience, we understand the importance of treating customers right, which is why our customer service representatives are professionally trained and dedicated to personalizing each call so your clients feel genuinely cared for. Our experienced operators have handled accounts in various industries such as municipal, legal, health care, medical, and more. No matter the issue, the phone agents at BTE Communications will take care of all customer questions and concerns in a professional and courteous manner. To find out more about outsourcing over-the-phone customer service for your business in Bakersfield, call today. Rely on the highly experienced call center representatives at BTE Communications to handle all of your over-the-phone orders for your business in Bakersfield. With our professional 24-hour call center at your service, your business will be able to accept more orders, provide information about products and orders, respond to peaks and valleys in call volume, increase customer satisfaction, and maximize revenue through up-sales. Our live operators are proficient in English and Spanish and have years of experience in customer service. 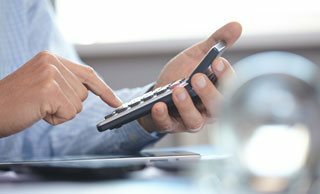 They can be relied upon to take orders and payment information with incredible accuracy, and to keep all client information strictly confidential. Call today to learn more about our order taking services available in Bakersfield. Ensure your Bakersfield company never misses an important message again with the comprehensive voicemail services provided by BTE Communications. With our 24 hour call center's voicemail service, you'll be able to access your voicemail from any phone at any time. You'll also be able to have urgent voicemail messages directly rerouted to your cell, and/or have voicemail messages or notifications delivered to you via text, email, alpha pagers, or fax. Voicemails can also be sent in batches at designated times to best fit your schedule, as well as redirected to an automated voicemail tree. Regardless of what you need it for, our highly trained agents are able to customize your voicemail service so you're able to efficiently manage your messages in the most effective way for you and your Bakersfield business. Since 1958, BTE Communications has been the designated call center for Bakersfield companies in need of a fast and reliable external callout service to complete their emergency response plans. When you partner with BTE, you're taking important steps to provide a safer work environment for your employees. For over 50 years, our 24 hour call center has served various industries with cost-effective, efficient service. BTE Communications has provided emergency response coordination for numerous high-risk industries such as oil field, gas, electric, water, construction, nuclear plants, generators, mining, and more. Our highly trained operators can be instructed to answer urgent calls or to monitor your alarms. Then, once notified of an emergency, automatically proceed to contact designated supervisors and/or contact and dispatch fire departments, police, emergency medical service, or other rescue agencies. As part of their emergency response coordination efforts, they can also send alerts straight to your phone. At BTE Communications, our live operators are trained to follow call scripts and instructions with incredible accuracy. Call today to learn how to establish a safe emergency response plan for your business in Bakersfield. At BTE Communications, we've designed an alarm monitoring service to give businesses in Bakersfield the quick, well-coordinated response they need when faced with an emergency situation. With this service, you can trust that our staff will closely monitor your alarms as well as immediately contact and coordinate emergency response teams, provide dispatching, and answer your employees' calls when they need it most. With over 50 years of experience, we are proven experts in providing customized alarm monitoring services for businesses of all sizes and industries, particularly those who work on onshore and offshore oil fields. Our alarm monitoring services are trusted to coordinate responses to fires, explosions, gas leaks, oil leaks, tsunami warnings, flooding, and more. Call today to begin taking steps to protecting your business in Bakersfield with the comprehensive alarm monitoring services provided by BTE Communications. Rely on the operators at BTE Communications to provide exceptional dispatching service for your Bakersfield business. We'll answer all your calls with courteous and professional service 24 hours a day, 365 days a year, and dispatch your employees out in the field where they are needed next. 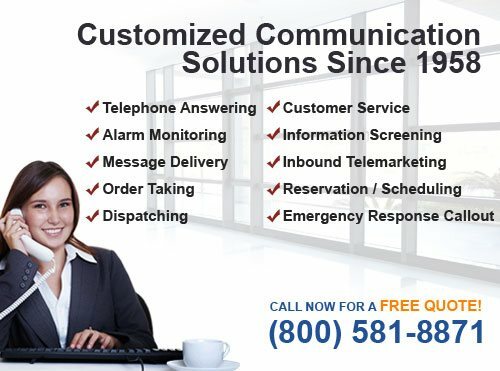 Our dispatching service is used to assist a lot of service-based businesses, such as plumbing and HVAC companies, roadside assistance companies, locksmiths, roofing companies, and towing companies, but can be used by nearly any type of business that communicates with staff via cell phone, radio, or tablet. Call today to learn more. When you work with BTE Communications, you'll have a team of fully prepared, carefully screened, and highly experienced phone agents who will act as representatives for your company. This means our live operators will answer your calls using your company's name and utilize your company's call script for accurate, efficient service. Trust our highly trained staff to increase the success of your sales efforts for your business in Bakersfield. BTE Communications' operators can handle everything from scheduling and reservations to answering common questions. When a call comes in, one of our representatives will answer with your company name and provide the appropriate assistance, essentially serving as a virtual receptionist (but for just a fraction of the cost of an in-office receptionist). BTE representatives are readily available 24 hours a day, 365 days a year. They are known for their years of experience, ability to provide exceptional customer service, and interest in having each and every caller feel respected and well taken of. BTE only hires agents who meet strict hiring criteria and only retains those who continuously meet our high standards. 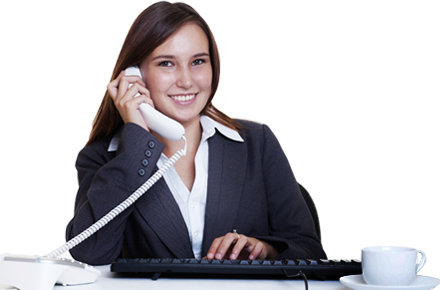 Call today to get a free quote on our virtual receptionist services in Bakersfield. Rely on BTE Communications to provide you with the comprehensive and customizable information screening services your Bakersfield business needs. For over five decades, we have provided thousands of satisfied clients across the United States with high quality customer care and research procedure support. From hiring processes to tenant investigations, you can rely on the highly trained operators at BTE Communications to ask your predetermined questions and follow your company procedures, so that qualified callers can either be added to your designated data management system or rerouted to your specified employees. Call today to learn how our phone answering services can provide your Bakersfield business with a cost-effective solution for screening interested job applicants, possible research participants, class action lawsuit participants, and potential tenants today.